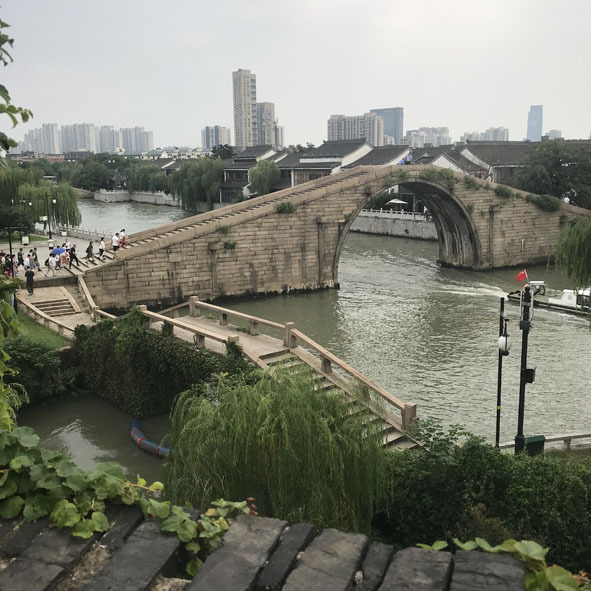 Between 15th and 22nd of November, ISOCARP’s Urban Planning Advisory Team (UPAT) was invited to give a workshop on ‘Panmen-Changmen National Culture Park’ in Suzhou, which was well received by both the Chinese and the English-speaking media. 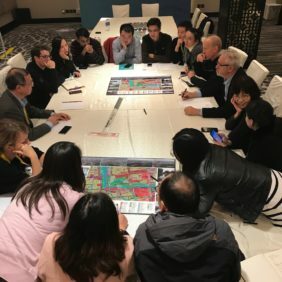 Recruited across our global network, ISOCARP members shared their international expertise on urban renewal, cultural heritage, and public space with their Chinese colleagues from Jiangsu Institute of Urban Planning and Design and the Urban Planning Society of China. The UPAT team was working on the design and planning perspectives on the cultural-historical landscape of the Grand Canal, including its importance to the city of Suzhou through the famous inner-city canals and classical gardens. In the following days, the team applied these principles to the waterway in between Panmen and Changmen, which are two important nodes at the historic city along the Grand Canal’s Jiangnan section. The goal of the workshop was to focus on the overall planning and urban design aspects of these areas – about 3 km2 – with emphasis on the historic renewal and cultural revival efforts. 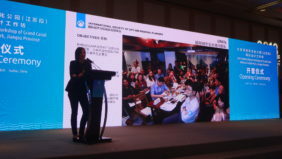 More specifically, participants were investigating the legacy of the Grand Canal from various points of view, including how to combine historical and cultural protections with the functions of the modern city, as well as how to position Panmen as a cultural landmark that could drive the revitalization of the wider area. 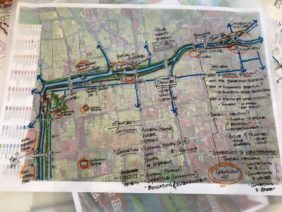 The strategies, proposed by the UPAT team, responded to three key planning challenges that they identified on site: identity, continuity and connectivity of the canal. First, the central question to the identity of the canal was how to link its past to its future. Although the area is rich in local and national heritage sites, they are not always protected and highlighted to the public. 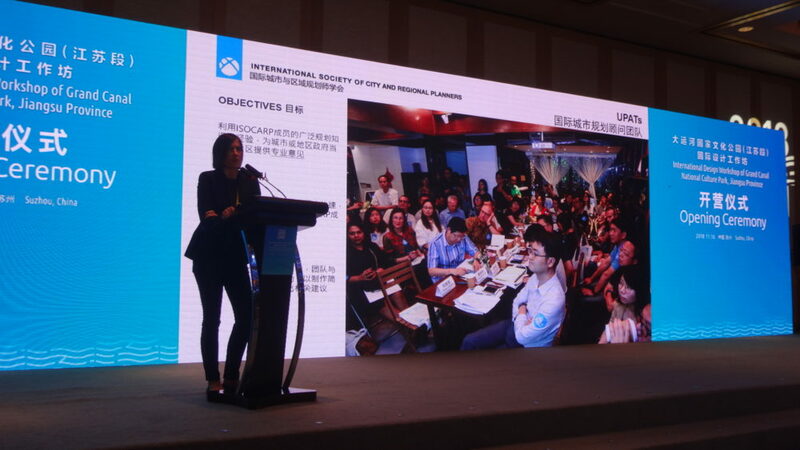 Therefore, ISOCARP members suggested strategic interventions aiming at heritage conservation and exhibition, while adding new characters by cultural venues that host art and fashion design programs. Second, because of its divided spaces and use, the canal cannot offer a unified experience and perception to the public, which raised the question of continuity. Creating green landscapes and on-water activities, moreover, eliminating physical and management obstacles were all solutions that the team put forward in order to establish continuous walking along the waterway. Lastly, future development plans will have to consider how to connect the canal to traditional, residential areas in the adjunct neighborhoods. To get on with revitalisation, the advisory team recommended enhancing the entrances and accessibility of the area, opening new public spaces, and connecting pedestrian routes to create flows and a positive waterside experience for visitors and residents alike. By combining metro stations and water transport, new transport hubs could also improve the canal’s connectivity. For making the specific design vision of the Panmen section, covering 0.2 km2, the UPAT team began with drawing out the unique qualities of the area: its strategic position at the edge; the historic Wumen Bridge and Panmen Watergate; a sense of gateway from past to future; and being an icon of the canal culture in Suzhou. 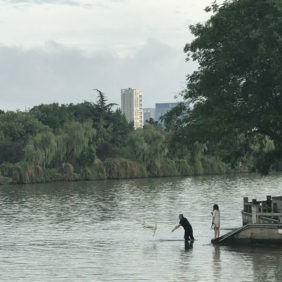 Suggested planning interventions, therefore, involved anchoring Panmen’s identity in the city’s canal culture, while linking people with its physical environment and increasing the opportunities for social connections. In addition, when people visit the area, they should look and feel the water, nature an culture in one overall experience. 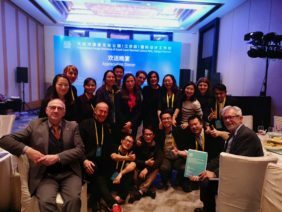 If you are interested in more water-related stories, please read our blog on the Wuhan Placemaking Week, taking place in December, where another great ISOCARAP team will share their expertise on waterfront placemaking from the city of Wuhan!